After our delays with the flat tire, we finally left Guayaramerin Bolivia one week late. We flew out to Tabatinga Brazil with no problems and arrived at the airport around mid-afternoon. Tabatinga borders Leitcia, which is located in southern Colombia. Missionaries from a sister project met us on arrival in Tabatinga, and took us to where they were staying over in Leticia for the night. Things seemed to be going smoothly now. The following day we said our good byes to the girls who had been traveling with us and the rest of the missionaries and boarded an Airbus 319 out of Leticia. Our flight took us to Bogota and from there a connection to Cucuta, which would put us at the boarder of Colombia and Venezuela that evening. Everything happened like clockwork, no problems whatsoever, and soon we forgot about all the delays we had in getting to this point. Little did we know that we would experience one of the biggest tests of faith in just a matter of hours. A little background information; I married my wife in Venezuela two years ago. The country was on the decline economically then, but still in somewhat stable condition. The situation has changed dramatically since, with inflation skyrocketing and food and basic necessities becoming scarce. Long lines form to buy the most basic of needs as stores quickly run out. Venezuela has a socialist government which strongly opposes U.S. capitalism. Anti-American sediment from its government frequently makes the headlines and suspicion of U.S interfering and even trying to topple the government is frequent talk from Venezuelan president Nicolas Maduro. Arriving in Cucuta that night, we found a taxi and made our way to the border. We stamped out of Colombia and crossed over to Venezuela to get our entry stamps on our passports from immigration. On arrival I handed my American passport to the immigration official. “Its expired”, she exclaimed in the way only an immigration officer can put it. I quickly responded “It’s still valid for another four months,” as I knew I had until June. “You need at least six months validity to enter Venezuela. Your wife and child can enter, but you can’t.” Imagine my disbelief to find out I could not enter after so many delays and to finally reach Venezuela and be told you can’t come in! I was not sure what the Lord wanted me to do. Did we need to turn around and head home after getting this far? It was late and we were tired. If we pushed on we would be at Saray’s sister’s home later that night. So close! Our taxi driver tried to be helpful, “I’ve taken others in without getting their passport stamped, and I’m sure they will not ask you any questions.” Well, I’d like to say that I told him no and went home, but we all make mistakes. With no real alternative at that moment, I hesitantly agreed for him to take us in praying that things would work out for us. I’d forgotten about the many checkpoints we needed to cross going through Venezuela by car. With the countries’ economic problems, the number of checkpoints had only increased. As we neared the first checkpoint, we were all uneasy. The taxi driver was visibly nervous, even more so after hitting a cat on the dark road. As we neared the armed guards with their automatic weapons, I did not know what was going to happen. But one thing I did know, I was going to be completely honest with them. I was not going to try and buy my way in as is so commonly done. As we pulled up, an immigration officer stopped the car. “Passports and cedulas (ID cards),” he said. We passed him our passports and I hesitated passing him mine. He studied my passport for a while and after not finding the entry stamp, he asked me to step out of the car. “Where are you coming from and where are you going” he asked. I tried to explain to him the situation, but it only seemed to confuse him more with my answers. “Follow me” he said as we headed for an office next to the checkpoint. waiting room. Here I was asked all kinds of questions. 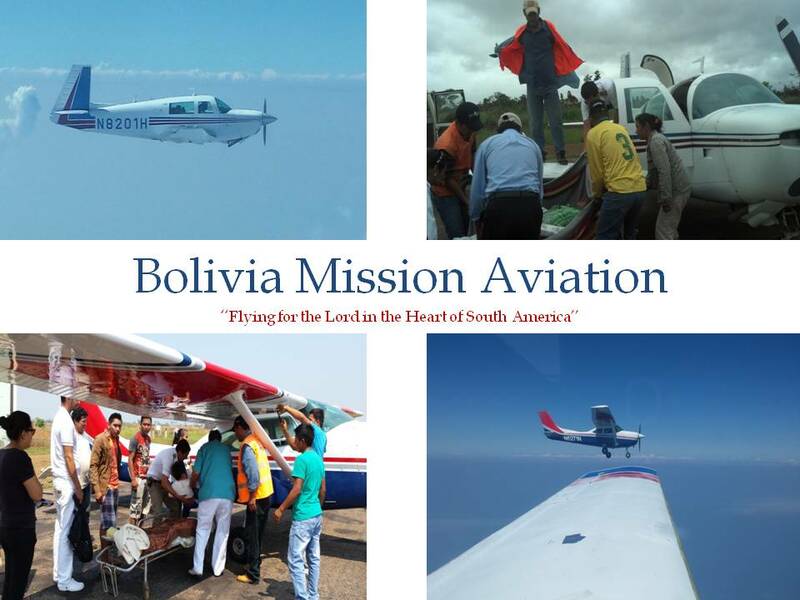 I told them I was a missionary pilot on my way to visit my wife’s family, traveling from Bolivia to Brazil in a small plane which I had left in Brazil and then made my way commercially through Colombia. More questions were asked, but every answer I gave him only seemed to make the situation worse! It got very late, and soon we realized we would be spending the night in this small waiting room. With the door open and the noise of traffic coming and going, it was difficult to sleep. With no information given, we were left is suspense to what would happen next. We soon realized there was a jail cell behind the waiting room. In there they had four Colombian men who were being detained. I was thankful that I had not been put in jail with them, and that they had at least let me be with my family. Around midnight the guards came in, it was their turn to ask questions. They thoroughly searched all our stuff and asked if we were carrying dollars. I thought it was strange they would ask that, but told them I did not have any. One of the guards then searched me from head to toe. Finding my Spot tracker, they asked what it was for. I told them it was used in case of an emergency while flying the airplane. They asked for my cellphone and took it away to be examined. During this whole time I was praying that things would work out. Naturally fear was setting in. What were they going to do with me? When would all this end? Would I be put in some jail cell somewhere and be kept away from my family? Should I try and contact the American Embassy? Could I even contact someone of what was happening? So many questions. I was afraid for my family, and my four month old daughter. It was one thing to be in this situation, but to have them in danger was my real fear. I then remembered a bible text “ all things work out for good for those who love the Lord.” I prayed for strength, “Lord, help me to be faithful and strong during this time. Whatever happens, I know you will be looking out for us.” I kept praying though out the night until I would feel at peace. Unpronounced to me, the immigration officer had contacted the Venezuelan intelligence and anti-spy agency. They were on their way that night to pick me up for an interrogation. Somehow, they failed to locate me, thinking I was somewhere else with the military police, and not with my wife and child in an immigration waiting room. After a long night, late the next morning two men and a woman walked in with automatic weapons and went straight to the immigration office. I kept praying and repeating the Lord’s promise. After some time they came out and told me I was to accompany them. My wife and daughter were to follow in a taxi. We got in a four door pickup truck with blacked out windows. I was told to sit in the back seat while I had a guard with his hand on what looked like an M-16 sitting next to me. The woman sat up front in the passenger seat with her riffle. The guards’ gun next to me was pointed precariously close to me and I was afraid to look at it for fear that they might think I would try something. “Handcuff him,” the woman ordered. Never in my life had I been handcuffed. The mood in the truck was serious. They were treating me like a real threat! “This was it,” I thought. “They are taking me to jail for sure. Who knows when I’ll be released now?” I prayed once again while the driver took off through the winding road through the mountains. As we drove, the driver started asking questions. I sensed a need to speak with honesty and firmness. Through my answers I began witnessing as to who I was and what I did. The guards just listened as I told them of how I was a missionary, serving the Lord. Slowly the atmosphere in the cabin began to change. The guards seemed to be more relaxed as we neared the city where they were taking me. We reached our destination and I saw my wife and daughter waiting for me. I was relived to be near them again. The handcuffs were taken off and was told I was to be interviewed by the director of intelligence. I headed for a room upstairs where I met the director. I sat in a chair in front of him. “Now he said, you are going to be completely honest with me as to what happened.” “Sure,” I replied, sounding as confidant as I could. Up to this point my story had been the same and I felt no reason why he shouldn’t believe me. “Why do you have two names, it says one name on your Mexican passport and another on your American passport?” “In the U.S you don’t use your maiden name and in Latin American countries you do," I replied. My maiden name not being present in my American passport had made them doubt who I was. “Why do you have an airplane and why is it in Brazil?” I gave him the whole story of what I was doing, transporting volunteers and coming to visit my wife’s’ family. I told him what I did with the airplane in Bolivia, how we used it in support of our schools and fly medical evacuations. By volunteering more information than he sought, he quickly realized that I was telling the truth. “You know, the activity of a missionary pilot and that of drug traffickers are similar. Both use airplanes in remote regions. We were not sure of who we had on our hands and that is why you were detained.” I told him we missionary pilots were always very transparent in what we did and avoided flying with people we did not know. It now became clear why they had thoroughly searched me and asked if I was carrying dollars. My wife and I were fed lunch, and then loaded on the same truck I had come in. The same guard sat with us in the back, but this time he seemed to be there more for our protection. No hand cuffs this time either! Everybody was relaxed and talking away. My wife and I were exhausted and relived that the ordeal was over and we were getting somewhere. They drove us all the way back to where we had been that morning, set on getting immigration to let me stamp into the country. After much waiting, it became clear that there was a problem with my stamp. Apparently they could not stamp me in for whatever reason. I was not spending another night in that waiting room with my family. Finally I was told I had to leave the country. Two immigration officers drove us to Colombia in their own vehicle. We crossed the border and found a place to stay. We were tired and we needed to think. The Lord had gotten us out of the jam we were in, but now we were back to me not having a stamp to travel. After some much needed rest and food, I had formulated my new plan. Saray’s brother would meet us at the border and take Saray and the baby in, while I would head to Bogota on my own and renew my Mexican passport which was on the verge of expiring. I would then try and reenter Venezuela as a Mexican. It was a risk going back in again, but I had just witnessed how the Lord took care of us, and I knew that if I could get my passport renewed on the spot in Bogota, which seemed almost impossible, then that would mean the Lord was giving me a way into Venezuela. Fifteen hours on a bus and I was in Bogota. I headed straight for the Mexican embassy praying for the right outcome. I met the Mexican consul, “Why should I give you a renewal, you don’t even have a appointment” he said. “Please help me” I pleaded, “I have my family in Venezuela and I can’t travel with out this passport.” He took my passport and left it on the desk and told me to wait. Soon his assistant was asking for my information! Praise the Lord! In a few hours I had my new passport in hand. While I was waiting at the embassy, news of Venezuela flashed across the TV in the lobby. It said, “President Nicolas Maduro is now requiring Americans to get a visa to enter Venezuela.” The news also said President Maduro was kicking out staff from the American embassy in Caracas. Wow! Things were getting worse by the hour. My four month old had entered into Venezuela with her American passport just the day before! One day late and we would have surely not have gotten into Venezuela. Now my wife and baby were safely at her sister’s house. The Lord sure knows how to time things right! New passport in hand I traveled fifteen hours back to the border. Now that Americans were not allowed into the country without a visa, would they even let me in even as a Mexican? I prayed, “Lord, please don’t let anybody recognize me, I don’t want to be detained again!” I stamped out of Colombia, and headed for the Venezuelan immigration office. I was so nervous approaching the office I spent fifteen minutes looking for the place. As I entered and neared the counter, the immigration officials started talking among themselves. Not recognizing any off them, I stepped forward. They pointed to me and said something to the officer at the window but that was all. I handed him my Mexican passport, got a stamp without too much fanfare, and I was out of there praising the Lord for his goodness! Finally, I was in Venezuela! Little did I know of what was happening on the news as I boarded the first bus that would take me to my family! I kept praying that no one would stop me and find my American passport. I did not want to be held and go through the same process all over again! We cleared the first checkpoint; the officer there looked at my passport and gave it back. At the second check point a couple hours later, I was taken off the bus and searched. They asked questions, and I gave them the most basic of answers. I wished I did not have my American passport on me; if they found it I knew I would be held for sure. The guard pulled out my blue covered American passport out of my coat pocket along with some other documents, and for some reason did not even see it! Back on the bus, I thanked the Lord that the guard had not seen the American passport. Either he was color blind or my guardian angel had distracted him at just the right moment! In a few hours I was with my family, praising the Lord for his watch care over us and that finally after so many delays and trials, we were now safely with family, deep in Venezuela. I quickly checked the news online, if this was true it will be on CNN I thought. This has got to be some sort if mistake! Soon I found what I had dreaded. It was true! Right there on CNN it said what I had been told. I was stunned! Me, a spy! A fear crept over me; I did not feel safe or trust anyone. If the government really wanted me, they knew where to find me. I felt like a sitting duck in the middle of the lion’s den! There was nothing I could do, but lay low until things quieted down, or so I hoped. Ten days went by and our time was up in Venezuela, time to head home. Things had escalated even further while there between the two countries. I was informed of President Maduro retaliating against the U.S for sanctions imposed on members of his staff. And to top it off, he was preparing his military for a possible attack by the U.S. Bad time to be an American, I felt like throwing my passport away! But my daughter was an American, and I could not for her sake. I was the lone parent with and American passport, nothing else to do but hide it and pray it was not found! We left late one night, praying that we would not be searched though the many checkpoints we needed to cross. Saray’s brother would be traveling back to Bolivia with us, and it was comforting to know that he had my back. But really, God had all of our backs as we crossed checkpoint after checkpoint. We were searched a couple times, but no one came up with the passport or did I need to present my documents. Finally near the end of our journey, my Mexican passport was inspected for what seemed a very long time by an official. He finally gave it back and waved us through. One more hurdle to cross, make it to the immigration office where we all needed to stamp out of the country! We made it as the sun was rising. I handed the officer our passports. He promptly informed us that our daughter could not enter Venezuela again without a visa. I was thinking to myself, “like I want to come back!” But we thanked him and left with our passports stamped. Crossing over into Colombia we were stopped one more time, my heart raced as I could see Colombia in the distance. We were quickly searched and waived though. Never in my life did I feel so much relief as when I crossed over into Colombia. The ordeal was now finally over! Praise the Lord! What a faith building experience we went though. To trust in the Lord with all your heart in the darkest hour. I knew that I had been put to the fire. I had been tested to see if I was truly dependent on God. And because I had passed believing in him, I was rewarded. It really seemed to me like a test run of what I and maybe you reading this story will probably experience someday. As we near the end of time, those who profess to be the God’s people will be required to put all their faith in Him to sustain us through periods of indescribable anguish. We may be hauled to jail, asked to testify in front of captors, and even give our lives for Him if the Lord wills it. But Jesus is faithful to give us what each can bare and no more. He won’t ask for more than we can take, and we won’t be alone either! My friends, now is the time to prepare. Don’t wait until it’s too late! Training for the believer is now. Giving up the world’s pleasures, focusing on changing our characters, living a pure life while focusing all our energy into spreading the Gospel, all this must happen now. It will be too late when laws to restrict our freedom are passed. God’s people will be divided, and only those who keep the commandments of God will be called His. This testimony of what God did for me, I share in hopes that you can see the power of God, and that if you surrender all you have, He will be faithful to provide and carry you through any difficulty. Movies have desensitized many to what it really is like to be in a situation where there is no one to turn to but the Lord. When you are in real danger, your whole body becomes weak, and if your faith is not there, you will be crushed. This was real, and it reaffirmed of how much more I need to prepare for what is coming. Daily we must seek Him and become more like Him. Herman, you and your family are so brave and faithful to be actively helping those in need. I will continue to pray for your ministry and safety.